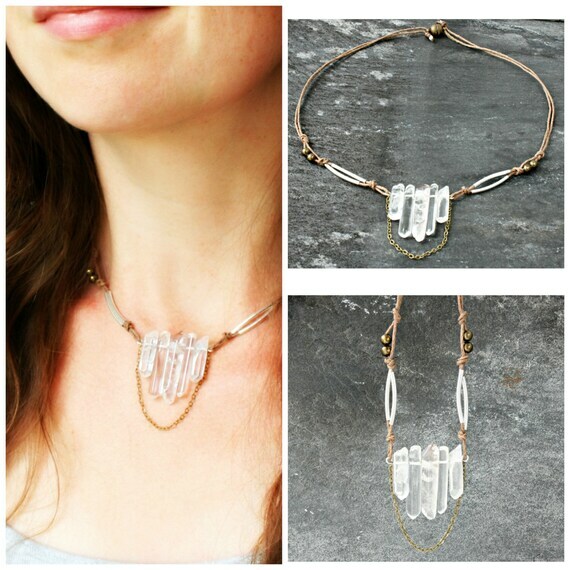 WISHLIST: Beautiful, NON-Tacky Crystal Necklace From Etsy! – Beautiful, Creative, Inspiring . . . Life. 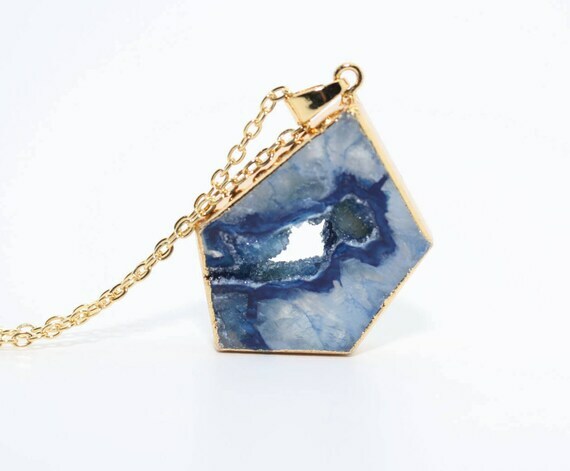 March 26, 2018 March 26, 2018 Categories Fashionbohemian, etsy, Fashion, jewellery, lifestlye blog, lifestyle, teen43 Comments on WISHLIST: Beautiful, NON-Tacky Crystal Necklace From Etsy! Why, hello there fellow internet consumers. Welcome back to another episode of Mia being materialistic – I know, it’s been so long. You’ve been treated to so much of my enlightened and spiritual world-view that you almost forgot what a cold capitalist stuff addict I am. One thing that I love, especially in my jewellery, is for the things that I buy and wear to have meaning. To have some kind of positive energy to them. Why? Because I’m weird and I add meaning to things that utterly do not need them, so sue me. Here’s my issue, though: crystals necklaces . . . well, a lot of the time I find them kind of tacky. Maybe tacky is the wrong word – but there isn’t much variety in them. So I went on a mission. A mission to find some beautiful, elegant, classy and distinctly NON tacky crystal necklaces. And then, because you guys are usually subject to my whims and fancies, I decided to make a wishlist of the crystals I found . . . and share them with you. Sorry in advance. Clutch your bank cards close, kids. Everyone loves a good choker, right? I mean they go with pretty much everything, they’re super stylish and you layer them up to be as dressy or casual as you like. This choker, however – this choker steps up the game. Imagine this with a loose, wrap shirt. Boho-chic for the win. So this shop sells a variety of little vial necklaces that are absolutely to die for. Filled with dried flowers, or Pink Salt and topped with a little crystal I want them all! 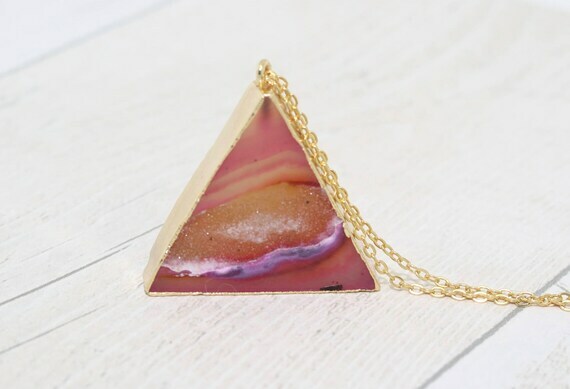 I love this shop because they have a variety of gorgeous geode necklaces. My favourites have to be the grey/silvery geodes. Just imagine how they must sparkle in sun! One trend I’m super into with jewellery at the moment is copper electroforming; this lets crystals be stuck inside other things sealed with copper usually and it looks super vintage and witchy. (They have some super cute necklaces where quartz has been added to the end of twigs.) 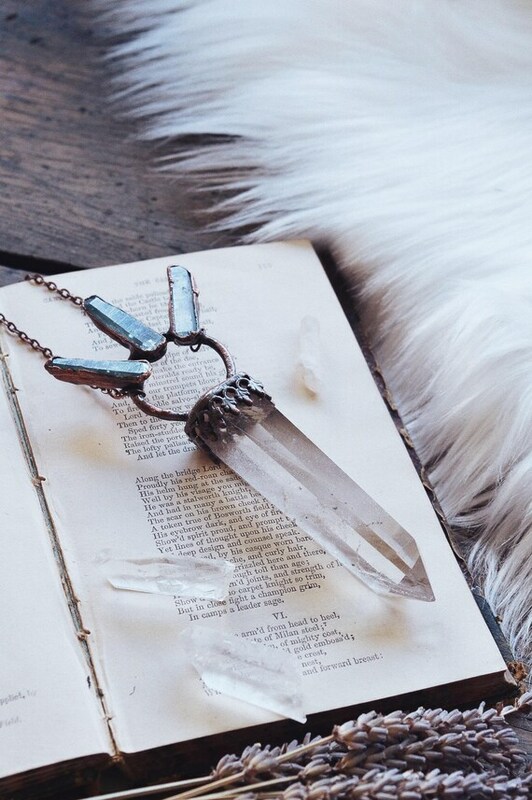 For real fairytale-esque chic, though, look no further than this next crystal necklace . . .
Well, if you ever wanted to dress up as a fairy queen, I think the next pendant is probably going to be for you. How gorgeous is this blue? My next few options are far more affordable and subtle. As I reach the bottom of this post, I am partially grateful. I mean, sure, I didn’t manage to make it through without buying anything but I only bought one necklace and . . . well, it could have been way worse. Plus, I didn’t even look at crystal bracelets. So, you know, restraint. I actually have some crystal-related DIYs coming up for you in the next coming months (gotta gather those supplies first) so if you’re a fellow lover of natural stones I think you’re going to like some of the content I have planned. Hint: I’m learning to make my own crystals using resin – and some fabulous hair accessories. Possibly jewellery too, but don’t hold me to that one. I love the crystal vile one and blue crystal!! Why so your posts show up twice on my feed? Once when they’re posted and once again, the next day? But by your account? With all the likes and comments? Ooh, I love the vial one! And the Spirit Quartz Necklace is pretty too.